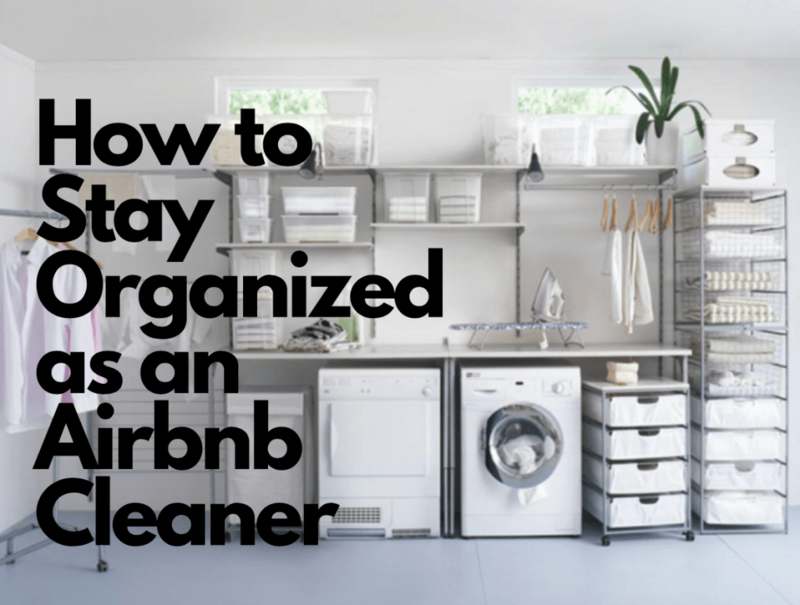 As an Airbnb cleaner one of the most important things I believe is to stay organized and on top of things. I feel without organization and flexibility it would be hard to manage all the turnovers and changes in scheduling. Here are a few tips I would recommend being on top of everything and keep yourself organized. Go and purchase a few totes to divide sheets between al the Airbnb’s you oversee cleaning. This will help you organize all sheets and be sure the sheets are for the right houses and when being washed you can put them in the same tote for each Airbnb. Another tip about sheets I have is ask owners to have at least three sheets sets for quick turnovers or stains etc. I believe this is the most important aspect when performing Airbnb cleaning service. The Airbnb’s are rented out regularly and if you do not have flexibility you will have a hard time keeping up with all the turnovers. Some are same day, some are once a week, and some are only two days to clean etc. Having a flexible schedule is best if you would like to earn a living cleaning the Airbnb’s. Also another thing I do is keep inventory for my clients. Most of them are either absentee owners or in another area. They rely on you to be sure they have everything on the property that is needed to keep the guests happy. Be sure to check toilet paper, soap, sheet sets, coffee, trash bags, bath mats, paper towels etc. When owner is running low give them a head up at least once a month on what they need. This tip helps you complete quick turnovers when needed and the owner to know you are taking care of the property for them. When you are taking care of a turnover you should do a quick look around property to be sure that everything is in order, nothing is broken, etc. before attempting to clean it. This will help you organize how to clean and stock property as quick as possible. This will also allow you to see how many beds were used so you can prepare in time. In my opinion making the beds are the most time consuming. After assessing the property begin your cleaning by stocking previous guests towels and sheets you have washed. Beds are most time consuming so I would start there and be sure they are stocked. One last tip I will give you is asking your owner to set up automatic payments. So as soon as you finish the cleaning you press complete button and it will trigger your payment. This allows you to get paid on time and not chase people for payments. I hope these tips help you in organizing your jobs and cleaning duties. This way you can make Airbnb owners proud of you and consider you a huge help to them. About the Author: Crystal is a professional Airbnb Cleaner located in Harrisonburg, Virginia. To view Crystal’s profile or to book her for your next short term rental cleaning, visit her profile or find an Airbnb cleaner in your area.